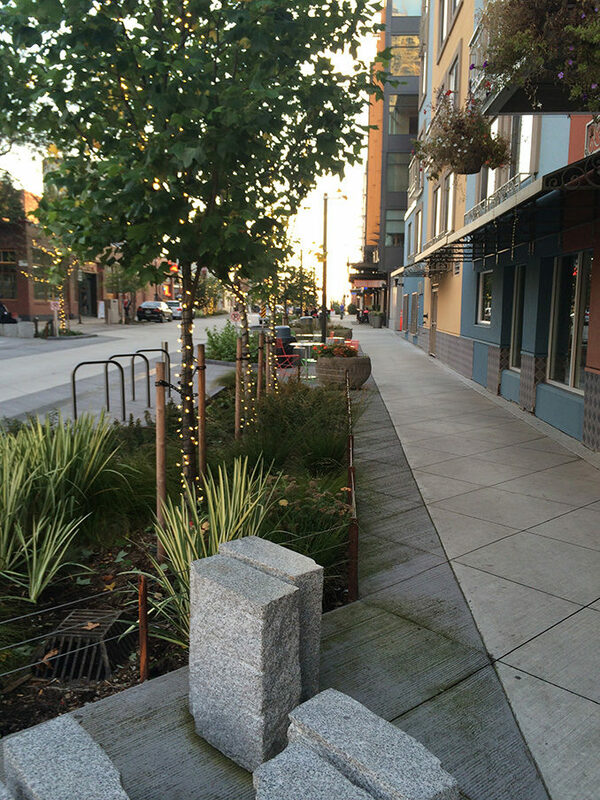 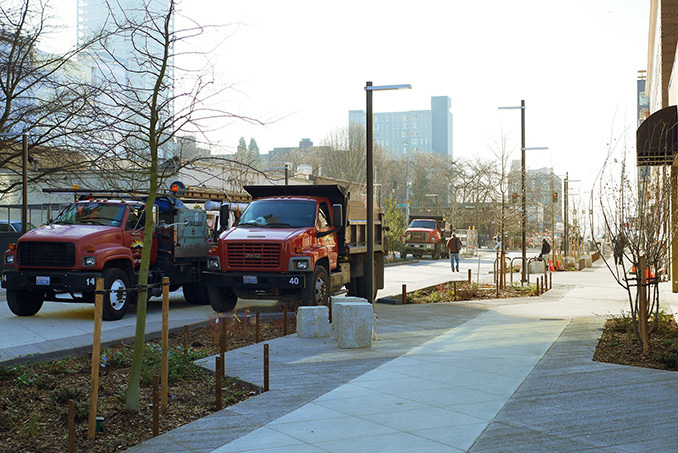 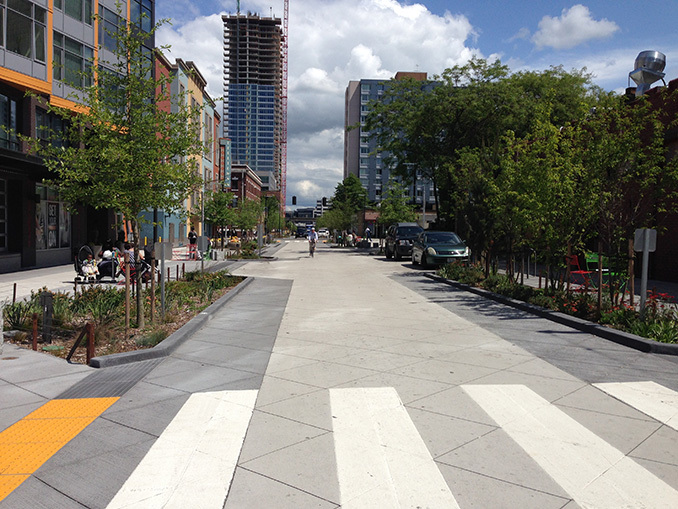 MIG|SvR led the urban design and engineering of the innovative Bell Street Park in the Belltown neighborhood, where single-purpose right-of-way was transformed into a vibrant, safe and green public space. 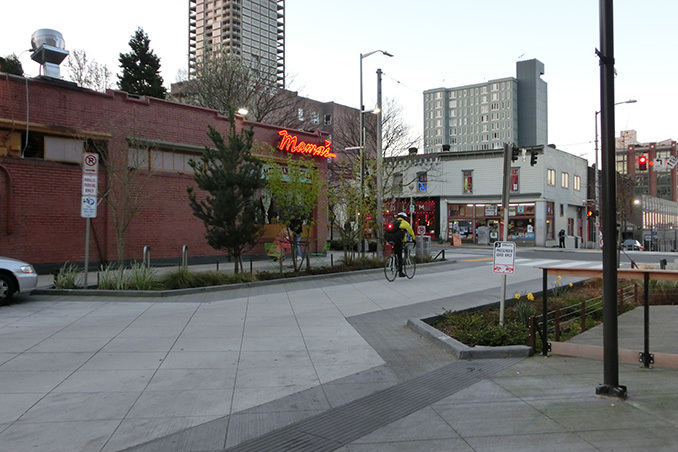 This 4-block section is the first phase of a long-range plan for a park corridor stretching from South Lake Union to Elliott Bay. 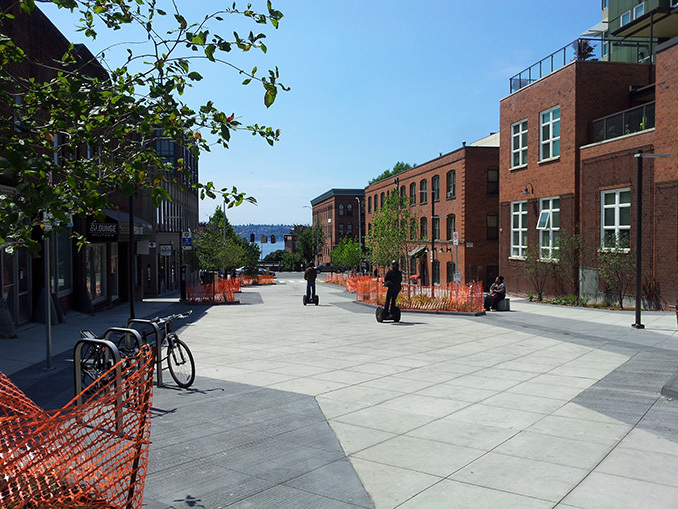 When high land values limited the potential for park acquisition, community leaders and city departments turned to the underutilized public right-of-way to create a multi-functional open space. 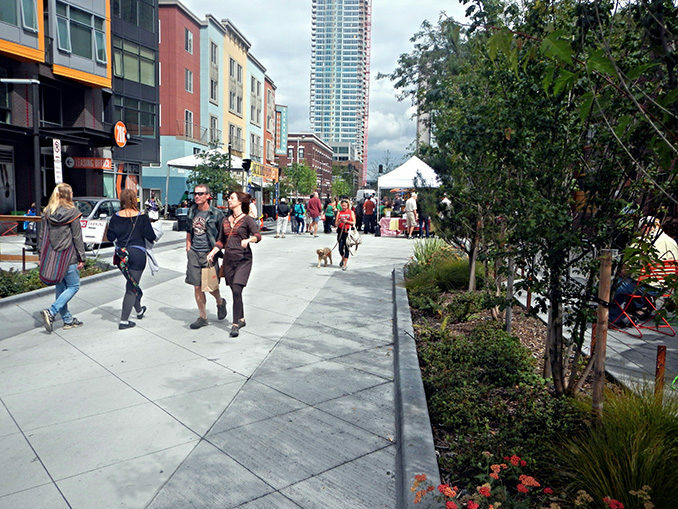 Bell Street Park is a hybrid of park activities and street functions. 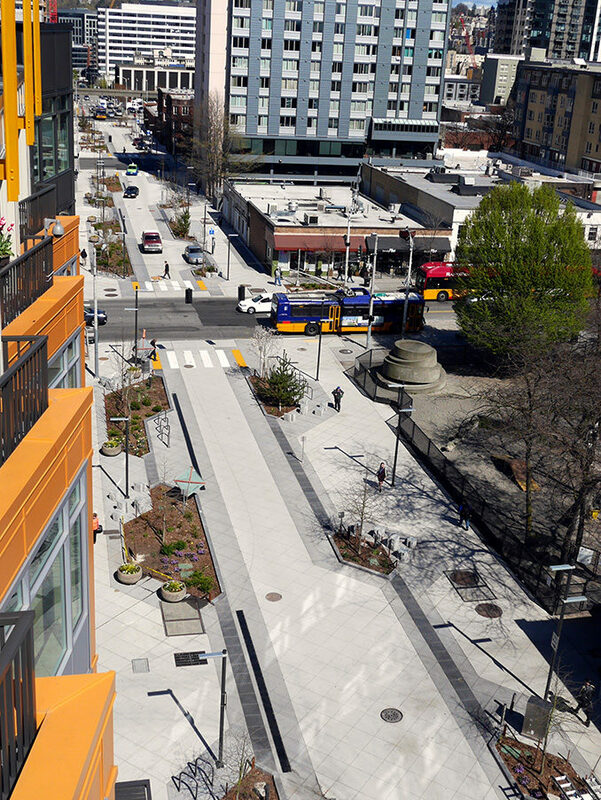 It gives an outdoor living room to residents of Seattle’s densest neighborhood while allowing automobile, bus, bicycle, and emergency vehicle access. 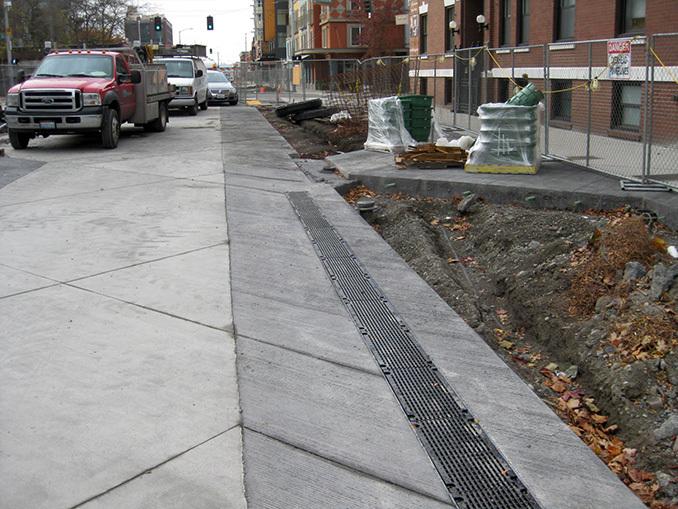 A subtle topographic shift raises the roadway up to the sidewalk level to create a curbless and continuous surface. 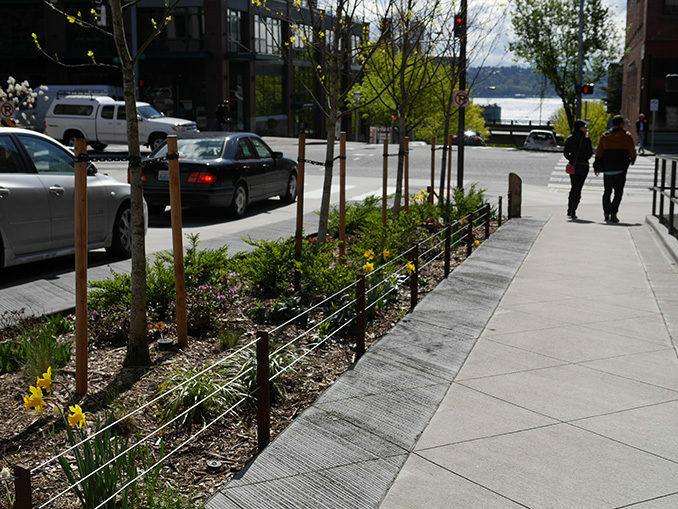 Street and park materials are woven into a wall-to-wall tapestry of shared space with meandering paving, planting and seating forming a unifying “circuitry” for the park. 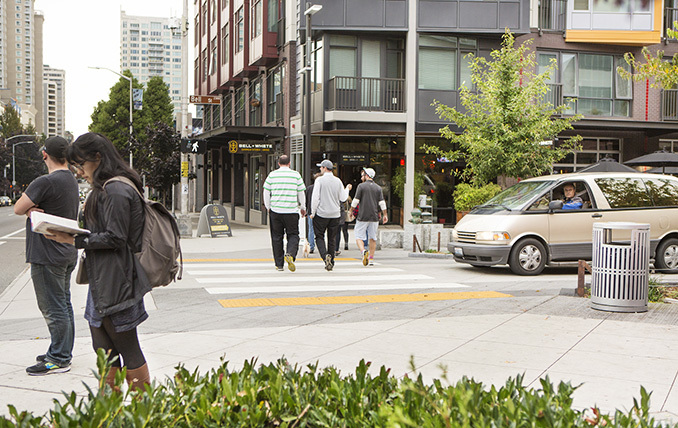 MIG|SvR recently worked with the Friends of Bell Street Park, through a DON Neighborhood Matching Grant, to develop an Art & Activation Plan to engage their neighbors, local business owners and city staff in activating the park. 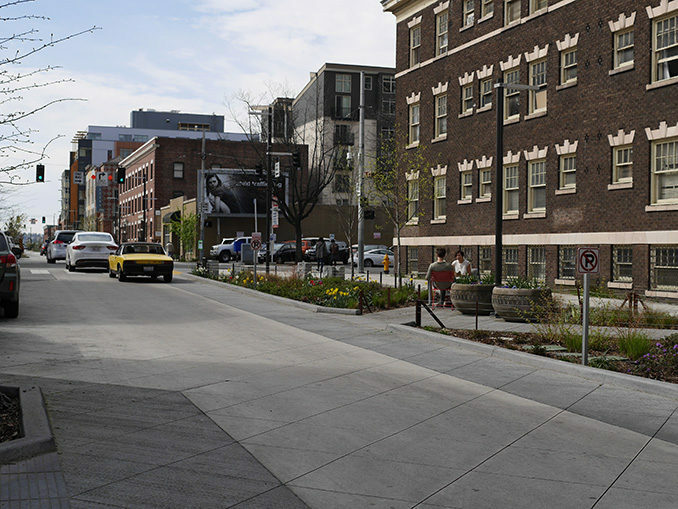 The Plan establishes a shared vision for park activation along Bell Street and translates community priorities into a tangible work plan that will enliven the Park over the next five years.